Reynolds Contracting is the AB Chance certified dealer for the Central Virginia area. We are Charlottesville’s helical pier expert, specializing in foundation repair, water management, and new construction solutions. 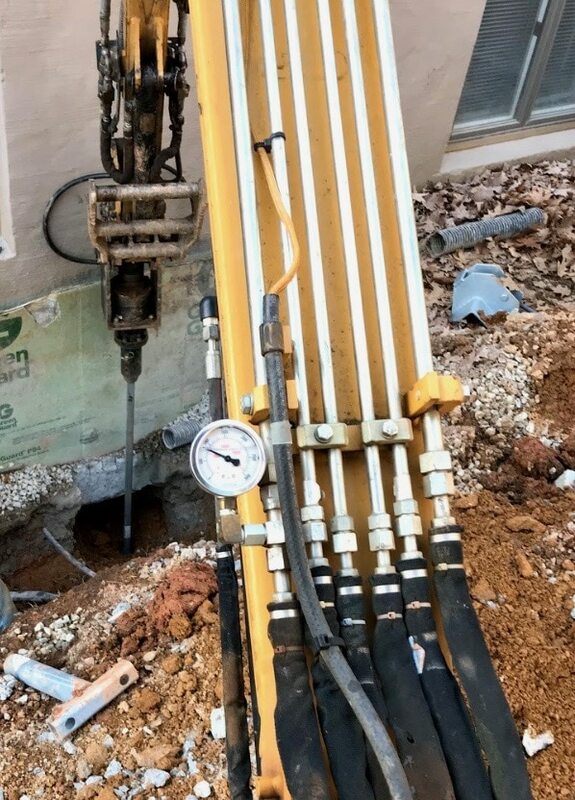 In today’s featured project, we installed 22 helical piers at house in Wintergreen. The house was built on a slope and the back of house was settling. Upon initial inspection, the house needed downspouts piped away. Not only was the house built on a slope, part of the problem was the mismanagement of water around the home. 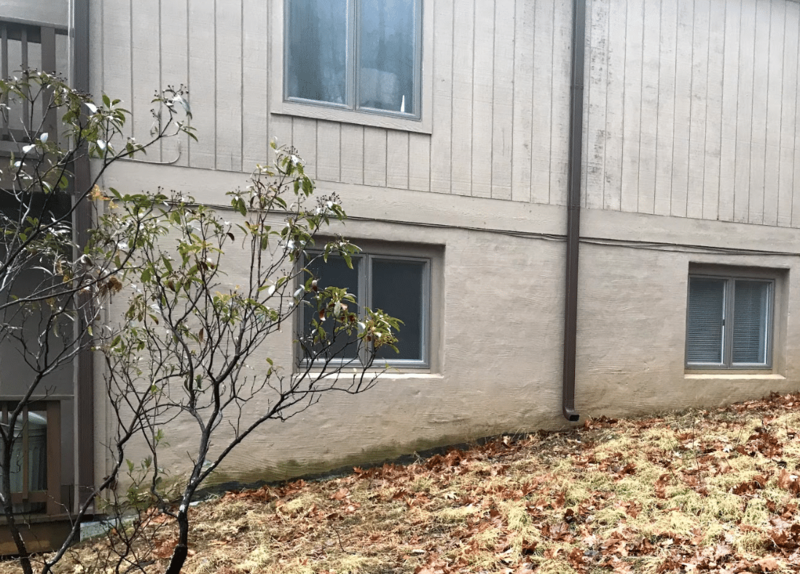 We see so many different problems and unique situations when it comes to foundation repair; the one overarching similarity between problems is the cause. WATER causes more foundation problems than any other factor. And we have seen a lot of water lately! In fact, 2018 holds the record for the wettest year on record in Virginia. So if your property isn’t set up to handle all of that water, problems will result. 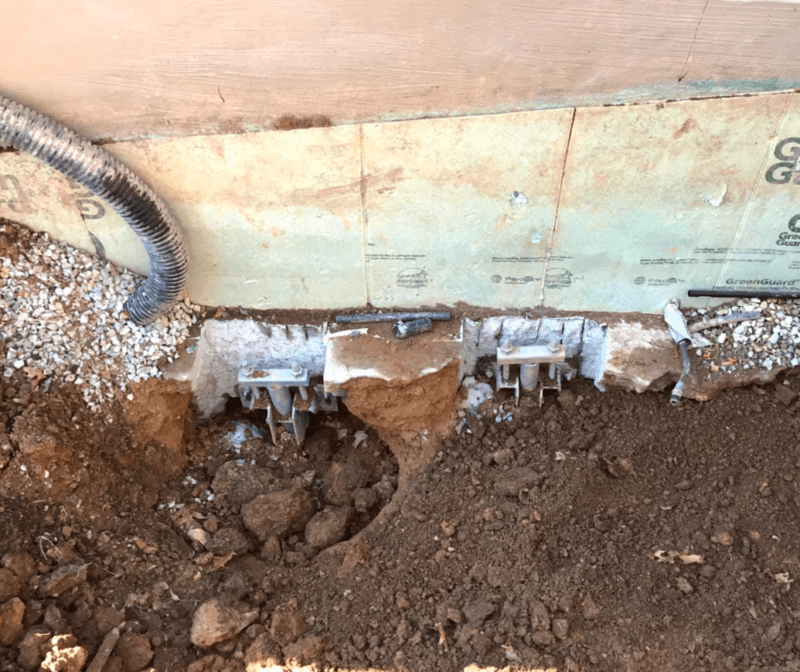 Here, the downspouts were dumping right against the foundation, which will ultimately lead to settlement, cracks, and leaks. The best time to solve a foundation problem is before it starts. Water management around your home will effectively solve and prevent further problems down the road. During the next rain, watch to see the water flow around your property. Are the gutters and downspouts working? Clear any blockages and make sure the water is flowing far away from your foundation. Is your yard graded properly? Water runoff toward your house can be easily re-directed with earthwork experts like Reynolds Contracting. Take care of mismanaged water early, before big problems arise! Reynolds Contracting provides exceptional service as the AB Chance certified dealer and an experienced earthwork contractor for over 25 years. Whether you need foundation repair, water management, and new construction solutions, we’ve got you covered with top quality products, professionalism, and care. When you need Charlottesville’s helical pier expert, contact Reynolds Contracting at 434-293-6724!